While we love shopping around and seeing what treasures we can find, sometimes we want to dive in on the action and create something with our own two hands that we can take home. 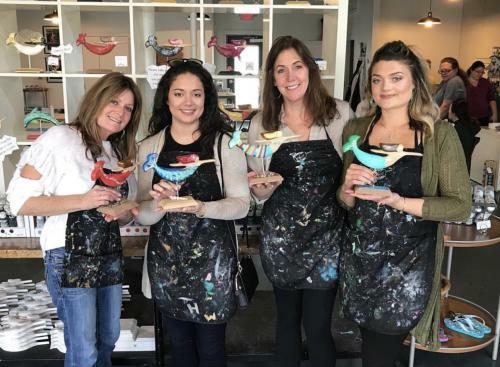 Whether in search of the perfect souvenir from your trip or just looking to get a little crafty, here are some of our favorite ways to unleash your inner artist in Virginia Beach. 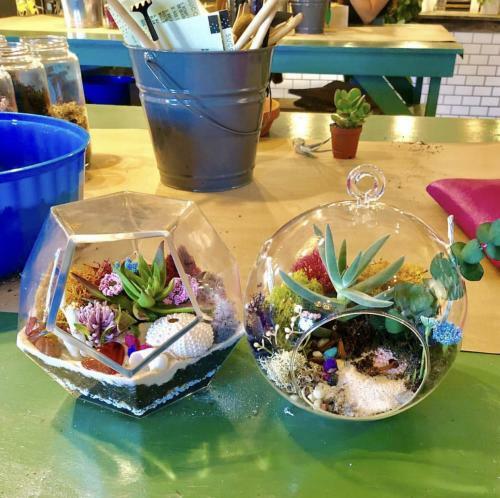 PlantBar, at the Virginia Beach Oceanfront, offers workshops on creating your own air plant or succulent terrariums. Stop in anytime, pick any size terrarium (beginning at $12), and build your masterpiece. No appointment is necessary, and prices include plants, filler, accents, and whatever else you need. PlantBar’s staff will be available to help guide you through your design and general plant care. They also offer classes, which you can sign-up to create your terrarium alongside an instructor. 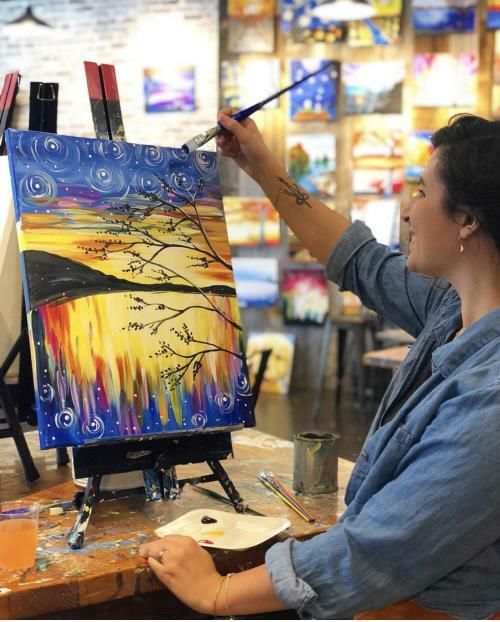 When you’re feeling creative, unleash your inner artist at Town Center’s Muse Paintbar, where the wine and paint flow in equal measure. With a menu of tasty finger foods and over 20 beers and wines from which to choose, Muse is the perfect spot to create your next masterpiece. 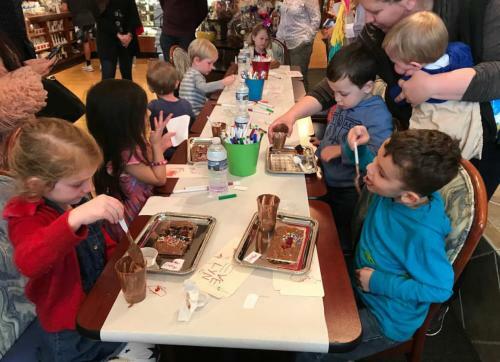 Their Paint and Sip painting events happen 7 days a week and all ages are welcome. The theme changes each night, so be sure to check their events calendar before you go to pick one that interests you! The Mermaid Factory, originally out of neighboring Norfolk, is an engaging activity for the entire family at the oceanfront. You begin with a blank mermaid or dolphin sculpture and choose your paints, materials, and decorations, then you’re on your way to a one-of-a-kind souvenir to take home with you from your trip. All mermaids and dolphin sculptures are handmade right here in Coastal Virginia of a durable casting plaster that works perfectly with whatever non-toxic acrylic paint and decorations you choose. Paper Source, at Town Center, is the go-to spot for fine papers, rubber stamps, cards, and a unique assortment of gifts. 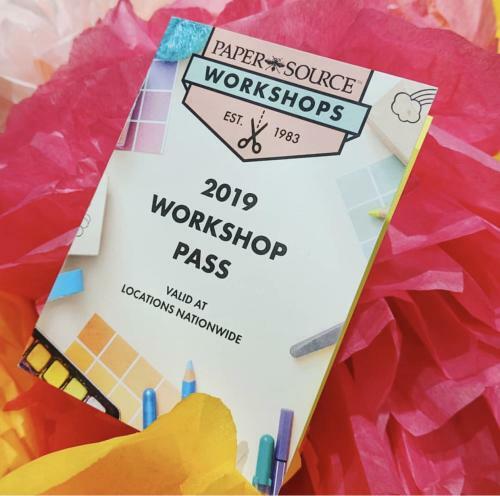 While the regular in-store demonstrations are a must, they also offer monthly workshops to demonstrate in-depth techniques on projects like home decor crafts and card making. Workshops for the month of July include Hand Lettering Hacks, Watercolor, and Creative Container Workshops. This sweet opportunity is hosted by our favorite local chocolate shop, The Royal Chocolate. On the first Saturday of every month, become a chocolatier for the day, designing and creating your very own chocolate bar. You’ll start by filling your mold, choosing whatever fun toppings you’d like, and then decorating the wrapping box. This event is open to everyone, ages 6 to adult, from 11 a.m. to 2 p.m.